This year, for the A to Z Blogging Challenge, participated with both of my blogs, Facing Cancer with Grace and Heather Erickson Author/Writer/Speaker. That meant doing the A to Z posts for 2 blogs (26×2) plus the Theme Reveal for each blog (+2 more) and the retrospective (I’m only doing this one and linking to it from Facing Cancer with Grace). That’s a total of 55 posts in one month! I chose to write with caregivers in mind. At this time, I have been deep in the mire of caregiving, so this would be something that would come from the heart. Also, everyone will either be a caregiver or depend on one at some point in their life. Even though I write from the perspective of a cancer caregiver, the principles I would cover would apply to other caregiving situations. I decided to consider my audience. Who would be participating in the A to Z Challenge? Creative people! And if these people were anything like me, they probably needed a little creative boost. It’s tough coming up with 26 different posts revolving around the same topic. So, I decided to tackle creativity-specifically, how to get more of it. This was a lot of fun because I experimented with some of the ideas that I hadn’t tried yet. I definitely felt more creative after this exercise. I knew from past experience that I wanted to do more than just toss up a blog every day. I don’t work well under pressure, so writing the posts in advance would be the only way I could be successful. Having the posts done ahead of time also meant that I could devote the month of April to interacting with other bloggers, both those who came to my sites and those I visited. I also have learned from my digital detox last January, that posting with a scheduler is the way to go. Even though the posts would go up automatically at a set time and date, I did a last minute check the night before each posted to make sure there was nothing wrong with the post. The one time I didn’t, I was missing a featured image and a link was broken. I also began auto-sharing to social media with Jetpack, a free WordPress plugin. During the month of April, I spontaneously decided to start a new Facebook page for Facing Cancer with Grace. It is one more thing to maintain, but there were good reasons for this move. I want to serve my audience with clarity and definite purpose. This is why I added a separate website. I have 2 very different audiences and I want to give them the information they are looking for. I loved it! I had my doubts before I experienced it. The idea of signing up to the Google spreadsheet each day felt a little overwhelming. I’m not that techy. But it was simple! And the result was a place where all of the participants were listed. This meant I could easily explore other blogs. I found lots of sites that interested me. Over the course of the month, I had sites I would check into each day because I knew I could count on high-quality content. I also tried out new sites each day. This is a practice I plan to continue beyond April. I’ve learned the importance of participating in the blogging community. Often, my introverted nature extends to my online life. I write my posts, put them up, and leave them alone. It has been wonderful to meet other bloggers via the A to Z Challenge. I’ve learned a lot from their content, and also their process. This has helped me to refine my own process, as well. I also appreciated the posts that the A to Z team put up. I regret not interacting with them more. I did always read them, though, and learned from them. One thing that was very valuable to me was the “N” post, called Netiquette. One of the recommendations was to sign your posts so the blogger and other readers know who you are and what you write. As a self-hosted blogger, this wasn’t super easy to figure out, but within 24 hours, I had my signature on a word doc, ready to copy/paste into comments. In last year’s A to Z Retrospective, I listed some of my favorite sites that participated in the A to Z blogging challenge. This year, I am having a really hard time whittling that list down—there are so many that I have enjoyed. Instead, I will continue to read new sites from the A to Z master list each week, along with my favorites. I will share recommendations throughout the year. I will be going back to my normal posting schedule. Heather Erickson Author/Writer/Speaker will go up each Wednesday, and Facing Cancer with Grace, each Monday. 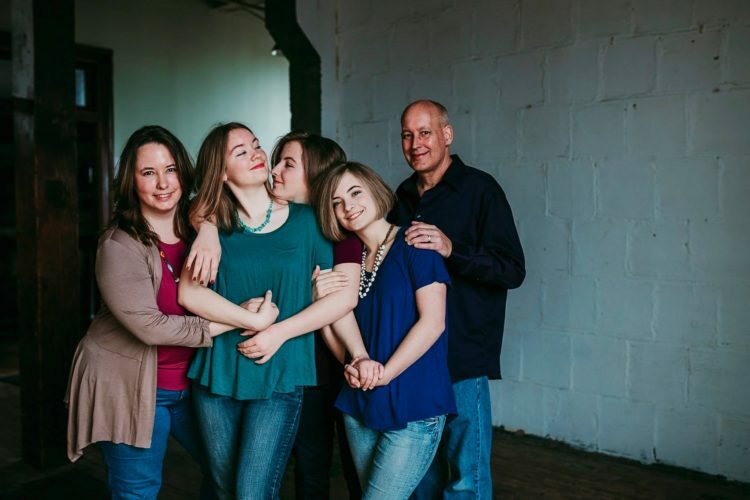 For anyone interested in our family’s personal journey, I post on my husband’s CaringBridge site whenever something comes up with his cancer. It is a public site that anyone can read. My next big task is to get my latest manuscript to press. It’s very close. I look forward to announcing when “Facing Cancer as a Parent: Helping Your Child Cope with Your Cancer,” is available on Amazon. While you’re here, sign up for my email list to get a periodic email newsletter to encourage your creativity. I am an author, writer, and speaker and homeschooling mom of 3. Since doctors diagnosed my husband, Dan with stage IV lung cancer in 2012, I’ve focused my writing and speaking on helping cancer patients and their families advocate for themselves and live life to the fullest, in spite of their illness. My goal is to help people face cancer with grace. My book Facing Cancer as a Friend: How to Support Someone Who Has Cancer, is available at Amazon.com. I also blog about living with cancer at, Facing Cancer with Grace. It’s been lovely meeting you through the AtoZ Heather and I can’t believe we’ve reached the end. I’m enjoying paring it back to two posts a week instead of one a day (I scheduled mine in advance too, but there was still checking and commenting, and reading to be done every day) I’m already wondering if I’ll do 2019 AtoZ so it mustn’t have scared me off completely! Hi Leanne. Last year I finished A to Z and immediately began planning for the nest one. Then I put off writing anything until February because life often gets in the way. This year, I am again planning next year’s A to Z. I really need to work on it earlier, though. I hope you participate. I looked forward to reading each of your posts. What a wonderful reflections. You made all the points I didn’t think of. Yes–this is why I have done it two years in a row! I got sidetracked by the stats and data. Sigh. Hi Jacqui. Stats and data aren’t my strong suit so I admire you being able to sort through all of that. Your blog is such an encouragement to me. Because you are a teacher I learn so much from your posts. Thank you for all you do! Having two blogs doing the challenge is tough. I tried that last year with the 2nd blog being a team effort. And it wiped me out. I bow down to your tenacity to actually have written two blogs for the whole month. Kudos. I am sure there must be a medal for completing the challenge twice over in the same month! I was patting myself on my back for getting through it once. Congrats! Thank you, AJ. Your blog was one of the gems I found near the end of A to Z. What a thrill to find a cozy mystery writer. Have a fabulous week! I’m glad to have met you this year through the challenge. I enjoyed your posts over on your caregiver blog and related to them in my own way due to my health issues. Hi Patricia. I felt a kinship reading Dining with I.C.. One of my favorite things about this year’s A to Z was meeting great bloggers like you. Kudos to you for a double challenge win – wow! You packed a lot of thoughtful goodness into your posts on both blogs, and it’s been a pleasure getting to know you. Thank you Deborah. I am so glad to have met you and to learn more about abecedarium. Your site is so beautiful! Have a blessed day! Congratulations on completing the challenge and I am amazed that you managed to do double the amount of posts. I especially enjoyed your posts about creativity and am glad I discovered your blog. Thank you, Tizzy. I could never have finished A to Z on 2 blogs if I hadn’t written the posts in advance. I learned that I really like that way of writing my posts. I feel far more relaxed about it now because I am always ready several weeks in advance. I loved your A to Z about Alice in Wonderland. Your research really added depth to the stories.